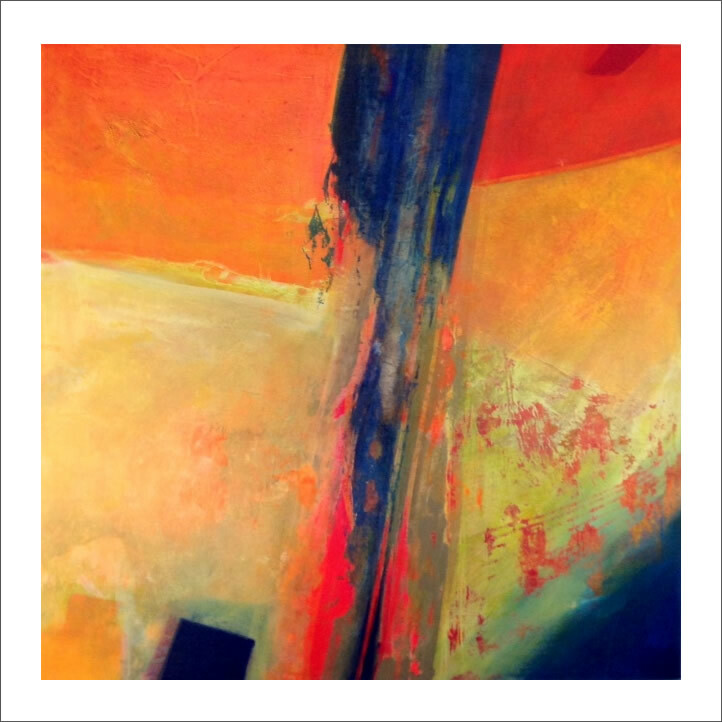 Using colour as a language to create abstract compositions I attempt to evoke a glimpse of past experience. Translucent paint is a means of allowing the colour to build in intensity while also allowing the previous mark-making to be seen. Paint is applied to the surface of canvas and can be scraped, scoured, sponged, wiped away or applied in thick opaque areas to cover over the previous painting. With colour I’m attempting to convey my own experience of humanity. Using the confines of the stretched canvas as the rigid boundary of my expression I concern myself with the structure of a balanced composition. Over several layers the colour intensity developed and allows me to become absorbed within the “Light – Filled Space”.